Pastoral & Ministry teams (PMT) exist in order to more effectively meet the needs of our growing & diverse congregation. To learn more about how things work, start by looking at the Organization Chart and then read through the FAQ. Then, browse through the website for more details. This website serves as a ministry manual for our church and is a "work in progress". Some teams & leaders are in place and have completed their web pages on the site. Other teams will complete their web pages in the next few months. Click the button below to submit your team's description. Please check back often to see how our church is ministering to one another, the community & the world. To worship God, to build up one another, and to reach out to others with the love and message of Jesus Christ. 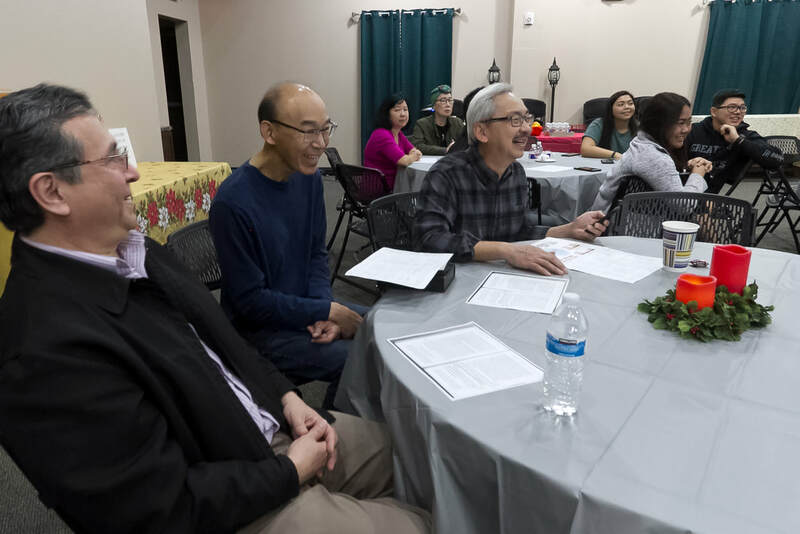 A united, spiritually healthy, God-centered church, with active members, discipled and equipped to reach the Asian community through evangelism and ministry. Click below to hear Pastor John's sermon from Acts 6:1-7 which serves as the model for our Pastoral & Ministry teams.